CSIL Market Research report Iran furniture outlook is part of the CSIL Country Furniture Outlook Series, at present covering over 70 countries. 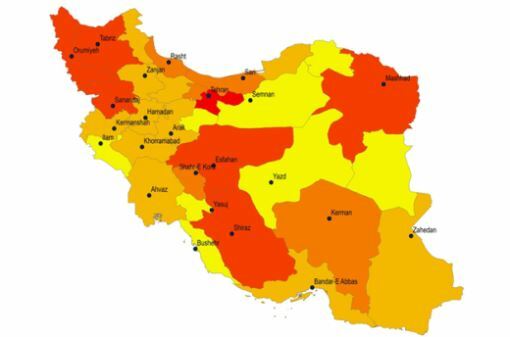 The report contains updated statistics and indicators useful to analyse the Iranian furniture market through tables, graphs and illustrated maps. A detailed overview of Iran's economy introduces the study commenting status, prospects and challenges of the Iranian industry with a focus on the furniture and furnishings sector. Moreover, selected indicators describe the Iranian business climate with a world comparison. Among the demand determinants supporting the analysis of the furniture market in Iran, the report includes a country's demographic profile and information regarding the construction industry and the tourism sector. The study also provides value data to 2015 and forecasts (real growth rates %) 2016-2018 for furniture consumption, market trends and information on main furniture distribution channels and prices, and value data to 2015 for furniture production with an overview of Iran productive factors and furniture productive system. International trading activities parts contain data for furniture imports and furniture exports to 2015, with details for main trading partners and breakdowns by furniture segments (upholstered furniture, non-upholstered seats, bedroom furniture, kitchen furniture, office furniture, furniture n.e.c.). Who are the top players operating in the area? The report includes a list of 40 selected leading furniture companies with kind of activity, product portfolio and website. Main sector fairs and associations are also indicated. With a population of 79 million inhabitants and a high urban growth rate, Iran has become an interesting and promising market for furniture companies. After years of economic isolation, it has been attracting a growing number of foreign commercial delegations and investments. Iran is an expanding market located at the crossroads between East and West and characterized by a young and a highly educated population, an increasing middle class income, currently experiencing a boom in architecture, design and lifestyle. According to CSIL, Iran's furniture consumption, now amounting to around USD 1600 million, is expected to increase by 2% and 4% respectively in 2016 and 2017 (in real terms).